What Type of Professionals are Involved in Building a Custom Home? One of the most common things we hear from clients is how surprised they are that so many professions work on the project. From architects to electricians, many people play a role in making a home. Here are a few of the most common professions you’ll find involved in a custom home building project. An architect’s role in the custom home building process is vital. It’s their job to take the client’s needs and wants and transforms it into a design. An architect is involved in the planning and drawing of home design and is usually involved during the construction as well. Architects make sure that the design plans aren’t just functional and structural, but also that they’re practical and affordable for the client. There are many different types of contractors, but every home building project has a general contractor. A general contractor combine managing, planning, and designing all into one. They oversee the whole construction phase of the project, staying within cost, altering plans as needed, getting building permits, and hiring subcontractors. Contractors work closely with other professionals such as designers, architects, and subcontracts. Draftsman and architects often get confused for one another by home builders. Draftsman performs a similar task as architects, and often work with them, but they are different. Simply put, an architect designs a home, while a draftsman simply prepares the drawings for the design. Draftsmen are good at their job, but they shouldn’t be relied on to design a custom home as they just don’t have the education or experience for the task. A custom home can benefit from using a number of different types of designers. Interior designers focus on the aesthetic and functionality of a home. They plan furniture layouts, color schemes, fabric types, etc. We also often recommend people hire specially certified kitchen designers. A CKD knows the best appliance locations, the ideal number of drawers vs. cabinets, and can focus on the aesthetic of the room. For custom homes with large lots, a landscape designer (also known as landscape architects) may also be beneficial. A project manager is vital to a successful custom home build. They’re the person that makes sure everything that needs to be getting done is. They’re responsible for making sure deliveries happen on time, workers show up, tasks get completed, and that everything stays within budget. The architect or general contractor often takes the role of a project manager, but some clients hire a third party or fulfill the role themselves. It’s a stressful role, but one of the most important ones. A structural engineer has an important role in home building. It’s their job to ensure that the home is structurally sound and that can withstand all of the pressures a building goes through. They’re the ones that do calculations to see if you need a beam in a certain location or if the walls are correct to withstand natural disasters like hurricanes, winds, or earthquakes. 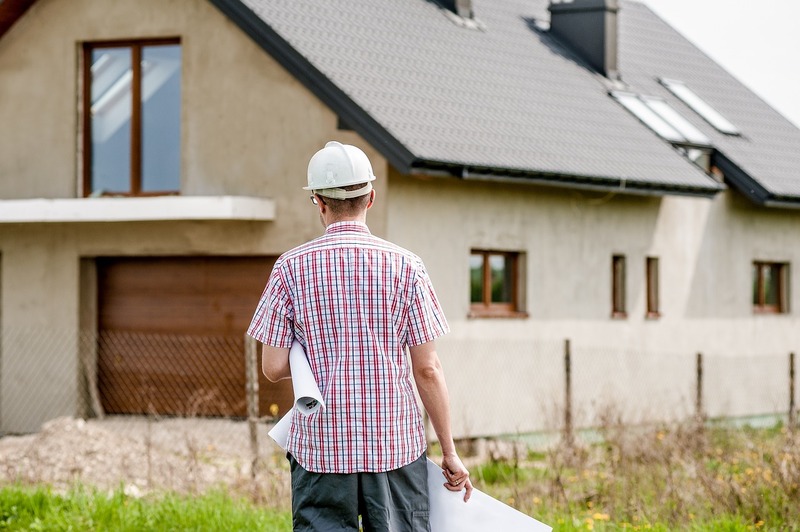 From initially purchasing the piece of land to drafting service agreements between all of these various professionals and contractors, a lawyer plays a valuable role in your journey to building your custom home. There will be a lot of contracts and legal documents to look over throughout the process, so it’s a good idea to have an experienced and knowledgable real estate lawyer that can review any binding contracts. A subcontractor can be thought of as a “specialty” contractor. In other words, they’re hired to complete a specific task on the home, usually one that requires a certain skill. Subcontractors include plumbing, electrical and HVAC. Many custom homes also require subcontractors for tiling, landscaping, pool installation, and other high-end add-on’s. Ready to build your dream custom home? Contact us today to discuss.